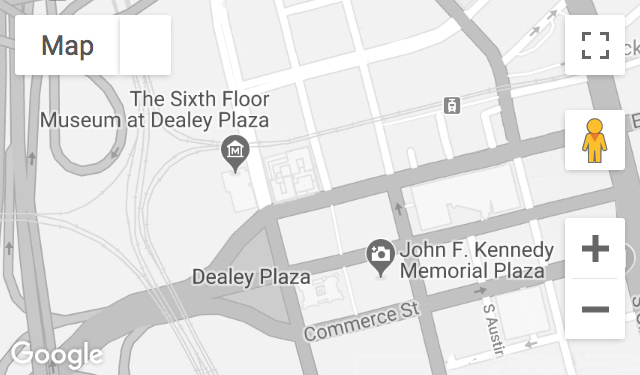 The Dallas Morning News will donate 1,500 negatives and nearly 500 black and white print photographs to The Sixth Floor Museum at Dealey Plaza in commemoration of the 51st anniversary of the assassination of President Kennedy. The photos, some of which have never been made available to the public, capture the historic day’s events, including the parade and aftermath of Nov. 22, 1963. Following a special ceremony and viewing Friday, Nov. 21, the collection will be cataloged, digitized and made available to the public through the Museum’s online collections database. The donation to The Sixth Floor Museum at Dealey Plaza is another example of the Morning News’ commitment to exploring how the JFK assassination shaped the identity of Dallas. During 2013, the largest newsroom in North Texas launched JFK50, a yearlong series with exclusive photos, videos and graphics on prominent historical figures, places and items associated with the assassination. A documentary produced by the Morning News – JFK50: Eyewitness to History – is also available on the website and was awarded a National Headliner Award and Lone Star Emmy Award. In addition, the digital platform allowed the Morning News to showcase historical coverage, while also allowing people to share memories and reflections of the tragic event. The permanent exhibition at The Sixth Floor Museum at Dealey Plaza features films, photographs and artifacts that chronicle President Kennedy’s life, death and legacy. The Museum is located on the sixth and seventh floors of an early 20th century warehouse formerly known as the Texas School Book Depository and has more than 45,000 objects in its collections.